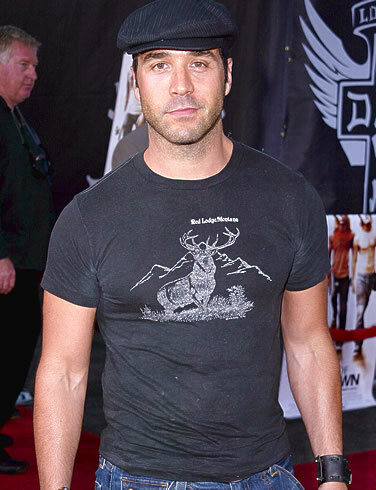 Jeremy Piven Needs To Stop Eating Fish. Seriously. After missing Tuesday night’s performance and Wednesday’s matinee of Broadway’s Speed-the-Plow, actor Jeremy Piven announced he would be leaving the play due to his diagnosis of a high mercury count. Not everyone involved with the Broadway production is buying Jeremy Piven’s story, however. I don’t know if I’m buying it either, actually. I mean, I’ve heard that pregnant women and children should stay away from foods that have a lot of mercury, but not grown men. Everywhere on the planet, fish are accumulating mercury in their tissues, often as the result of airborne mercury that finds its way into rivers and seas. And mercury, in all its forms, is highly toxic. In fish, it occurs in the form of methylmercury, which is known to damage neurons, particularly developing neurons. The damage seen in humans and animals at high doses is severe. Many studies — though not all — have concluded that low levels can have subtle negative effects as well if certain fish are a major part of the diet. The Food and Drug Administration and the Environmental Protection Agency have advised that groups most sensitive to methylmercury — women of childbearing age and young children — not eat swordfish, king mackerel, tilefish and shark, all of them having relatively high mercury levels. Neither agency defines “young,” perhaps because the brain continues to develop until early adulthood, but with each year the potential hazard of mercury is less. Furthermore, the F.D.A., which oversees fish sold in stores and restaurants, advises these women and children that 12 ounces a week, of various kinds of fish, is safe. The E.P.A., which is concerned with freshwater fish of the sort anglers bring home, advises the same group to eat no more than six ounces week for adults, or two ounces a week for children. Researchers started to worry seriously about mercury exposure after several incidents of poisoning in Japan and Iraq. In 1972, about 6,500 people in Iraq were poisoned by methylmercury, which was used in an antifungal treatment for grain seeds. More than 400 died. Some of the treated seeds had been mistakenly turned into flour, and then bread. See, nothing about grown men. So exactly how much fish does one need to eat to have such high levels of mercury you have to pull out of a Broadway play? Very peculiar, Jeremy Piven. Very peculiar. previous post: Mindy McCready Slit Her Wrists And Jodie Sweetin Is Unfit. next post: Michael Jackson Is Close To Death. Or Maybe He’s Just Going On Tour? Maybe Jeremy got the mercury poisoning from eating too much sushi. Or dental work (given how veneers, whitening are such the rage in Hollywood.) Maybe he had some fillings redone or something. 53 queries in 0.628 seconds.